At Watts Chiropractic Center, our mission goes beyond simply helping you feel better. Our Orange City Chiropractic Office is fully committed to improving your quality of life. Our care is always patient centered based on your History, Examination, Posture Profile, X-Rays and in-depth Motion Study X-Ray Analysis. With those tools in hand, our Orange City Chiropractor, Dr. Terry Watts will customize a treatment plan, designed for optimal function and long term pain relief. If you are dealing with Back Pain, Sciatic Nerve Pain (pain that stems from the low back but is often felts in the buttocks, shooting down the leg and often time into the foot), Neck Pain, Headaches/Migraines, Whiplash Injury, Slip and Falls, Arm Pain, Leg Pain, Disc Injury or anything related such as Ear Aches or Vertigo, you are in the right place. Watts Chiropractic sees amazing success rates resolving symptoms like these. We have 2 important goals: (1) to inspire you to reach your optimal health allowing you to be healthier, happier and pain free (2) to teach you what true health and total body function is all about. We want you to be as excited as we are about getting you back to a more active, enjoyable lifestyle, with safe, gentle, X-Ray Base Chiropractic Care. Dr. Watts is well-versed in several different chiropractic techniques, chosen based on your situation, need and comfort level. 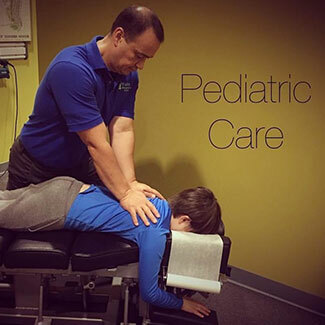 The secondary techniques utilized in our practice include instrument assisted adjusting, Gonstead, Toggle, Pediatric, Diversified, Manual, Logan, intrauterine constraint, Upper Cervical Specific and Sacro Occipital Technique. With advanced training in CBP and Thompson, as well as a certification in thermography, Dr. Watts can serve the needs of all ages with varying concerns. We believe in using the latest equipment available to benefit your care. The advanced technology you’ll find at our practice includes an OMNI table and drop, Universal Traction System, vibe platforms and a rehabilitation area. We utilize the Insight Millennium thermography and the Foot Levelers 3D scanner when needed. To boost your healing and help you reach your goals, you can also receive physiotherapy and massage therapy on-site. Our massage therapy room is comfortably equipped with soundproof walls for a peaceful experience. If you’d like to lose weight, we offer customized doctor-supervised programs. Contact us today to get started! We accept Chiro Health USA and other insurance plans.